Dear Melissa, thank you for this lesson. It helped me a lot to release tension. Could you suggest me any more lesson that works on the central nervous system? My tension (thoughts, emotions…) is mostly strong in my head and even face… Thank you again! Hi there! Thank you for this question. 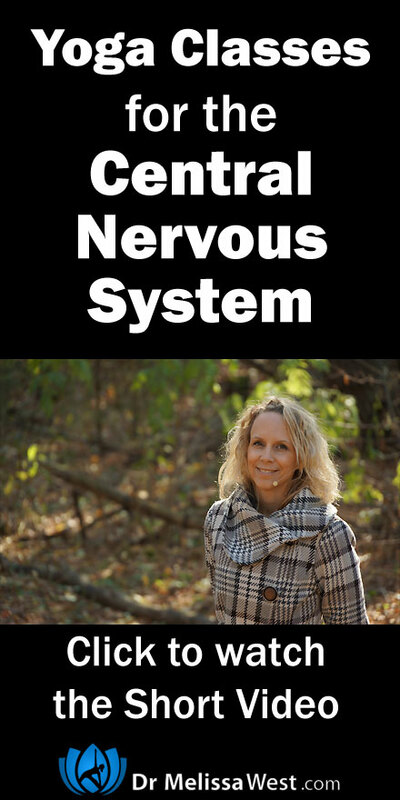 Your central nervous system is located directly behind your spine, so I would recommend any classes that relate to your spine as a way to access your central nervous system. A great pose for this is cat pose. Namaste Yoga 14 on Releasing spinal tension which will also help you release your thoughts and emotions as well. This beginner’s series class on twists is great for releasing tension and will work your central nervous system. Namaste Yoga 192 – Benefits of Yoga, Yoga for Stress. This episode focused particularly on stress relief. This should give you a lot to work with!